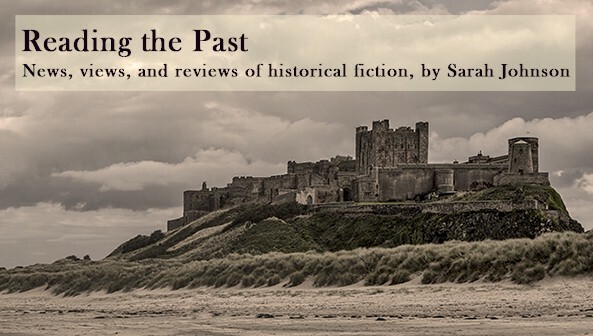 How can historical novelists make their chosen eras feel tangible and vibrant? 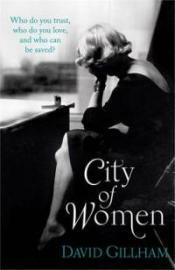 David Gillham, author of the acclaimed debut novel City of Women, is stopping by the blog with an essay about how he re-created the atmosphere of 1943 Berlin—the city of his heroine, Sigrid Schröder—by spicing his narrative with descriptions of period films, music, and food. One way I tried to build the atmosphere of Sigrid’s Berlin was by introducing wartime movies, music, and food into the narrative. Of course, when Sigrid attends the cinema, it not really to watch a movie. She’s looking for a small space of privacy, which is why she favors war movies. These didn’t do very well at the box office in Berlin; the audiences for them were usually sparse. The average Berliner was less interested in seeing propaganda films such as Soldiers of Tomorrow than Heinz Rühmann in escapist fare such as The Gas Man, or Gustaf Gründgens in a lavish eighteenth-century costume drama. For more recent movies that capture either the essence of Berlin or the stunning contradictions of the war years, I’d recommend Cabaret and Europa, Europa. You can still find a lot of popular music from the time period. In the book, Sigrid’s mother-in-law is listening to Lale Andersen singing on the radio. Andersen’s number-one wartime success was the ubiquitous “Lili Marleen”—a song that created such a stir that even British forces fighting in North Africa adopted it as one of their favorite tunes. 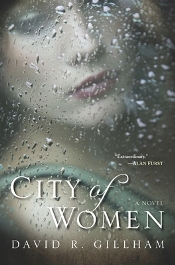 City of Women by David Gillham is published by Fig Tree in the UK (pb, £12.99, 400pp) and Amy Einhorn/Putnam in the US (hb, $25.95). Great essay. I have this book and can't wait to read it. Music is such a mood setter and I found much the same to be true - I have a WW2 playlist for American, English and German songs that I listened to while working on a WW2 project to get in the mood. I will definitely check out the McBride book, thanks for mentioning it. This is such an awesome book and the author really captured (as far as I can tell!) the claustrophobic atmosphere and the "fake-ness" of just about everything in 1943 Berlin. By then, the war's ending was obvious but it still had two years to run. The trick is to insert the music without making it too obvious. It has to blend seamlessly into the narrative.